Read-out Instrumentation Signpost: MES in Europe. 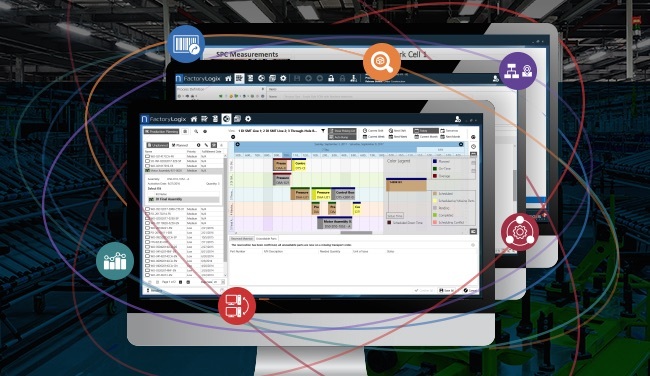 The Connect Group has chosen Aegis’ FactoryLogix® digital MES platform, across their four manufacturing sites within Europe, providing contiguous execution management and exact traceability. The Connect Group’s high-end customers, expect nothing short of perfection in manufacturing, which includes complete traceability of production in the form of the comprehensive digital build record of materials and processes that Aegis’ FactoryLogix MES solution provides. With complex, critical products manufactured across multiple manufacturing sites, the challenge was to ensure seamless manufacturing execution with the highest level of traceability, which could no longer be met by legacy tools. Aegis’ FactoryLogix brings in-depth, live visibility of the operation, providing key manufacturing metrics across every aspect of shop-floor management. Being SAP certified, FactoryLogix easily utilizes this data to provide a significant enhancement to existing enterprise business systems. With Aegis software as an integral part of their manufacturing technology, the position of Connect Group as the most capable, reliable, and cost-effective supplier in the industry is firmly underpinned, as more customers than ever before require the highest level of digital manufacturing expertise.